Checked out 528,979 items combined at all of our locations. 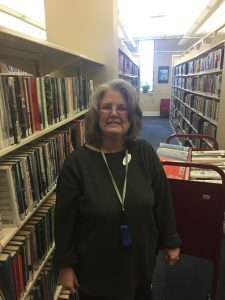 328,207 people have an Augusta County Library card. 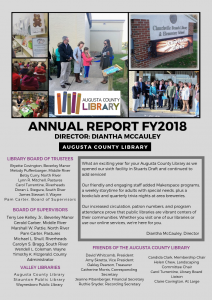 Click the graphic to the left to view a digital copy of the Augusta County Library Annual Report Fiscal Year 2018 or ask to see a copy at the library. Augusta County Library such a vibrant part of our community!